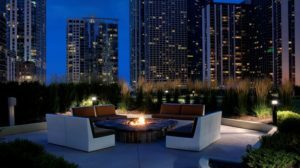 Since last year’s event sold out, Engage for Good 2019 will be at a newer, larger facility (the only published Silver LEED certified full service hotel in Chicago): The Radisson Blu Aqua Hotel in Chicago located at 221 North Columbus Drive, Chicago IL 60601. The room block at the Radisson Blu is sold out but we’ve arranged for an overflow block of rooms literally across the street at the Fairmont Hotel also at a special conference rate of $259. Click here to reserve at the Fairmont online or call 1-800-441-1414 and mention the Engage for Good Conference. Rooms at this special rate are limited and only available until 5:00pm CT, May 7, 2019 and will definitely sell out so please book early.